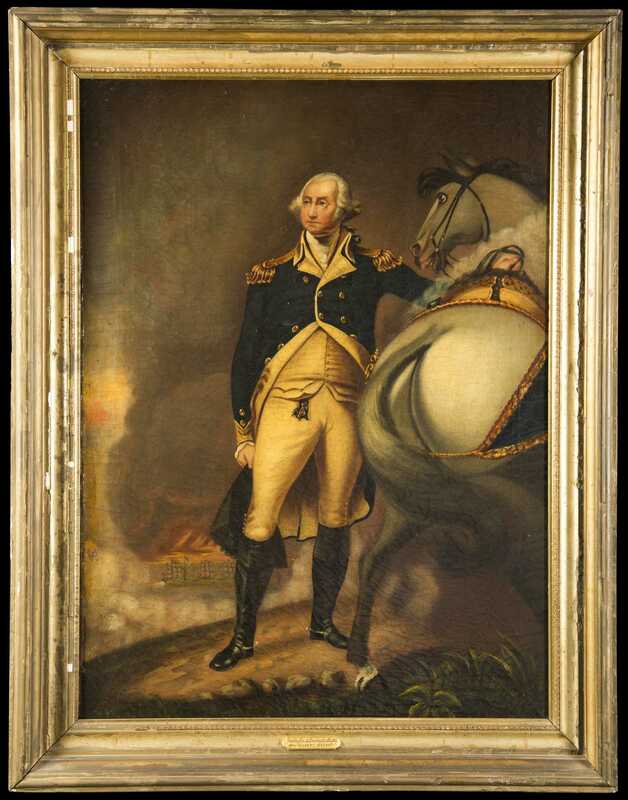 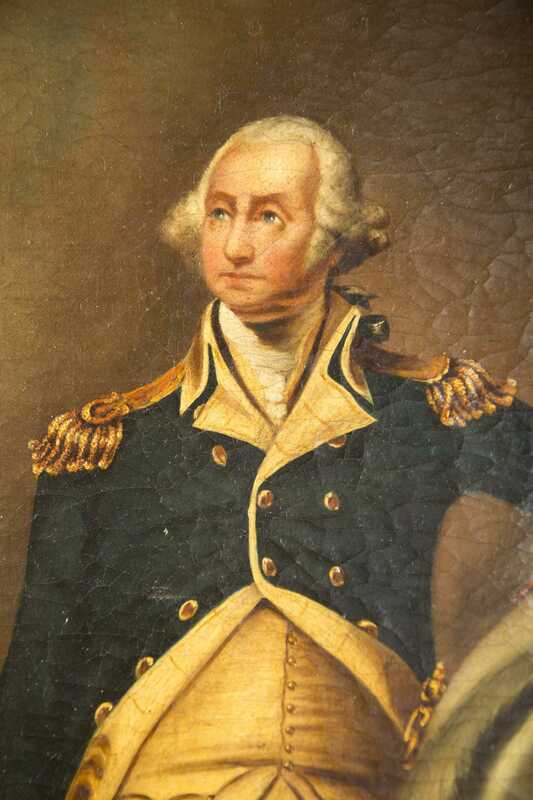 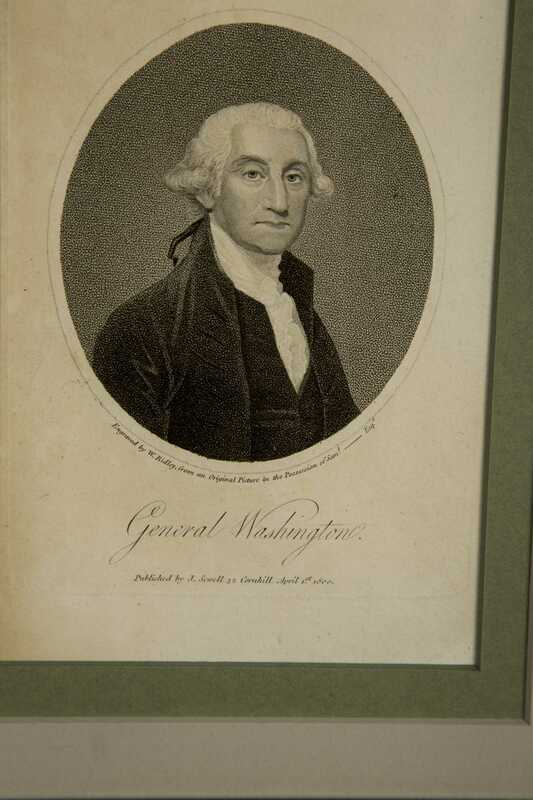 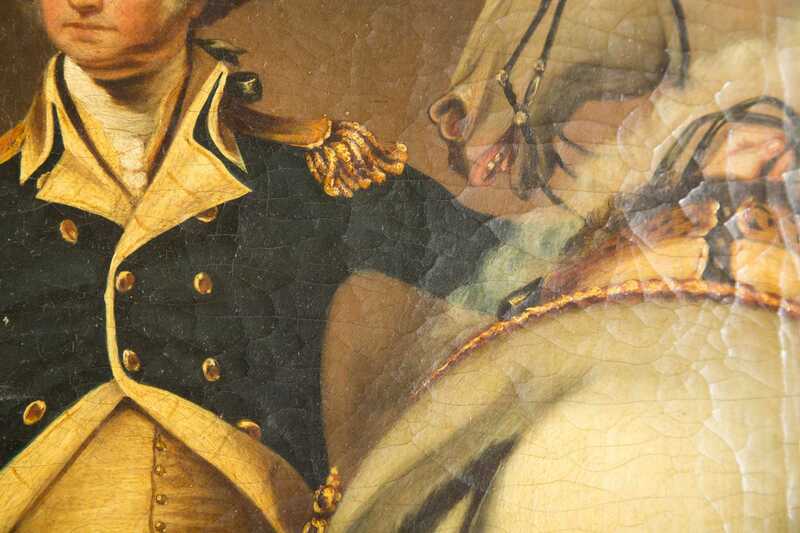 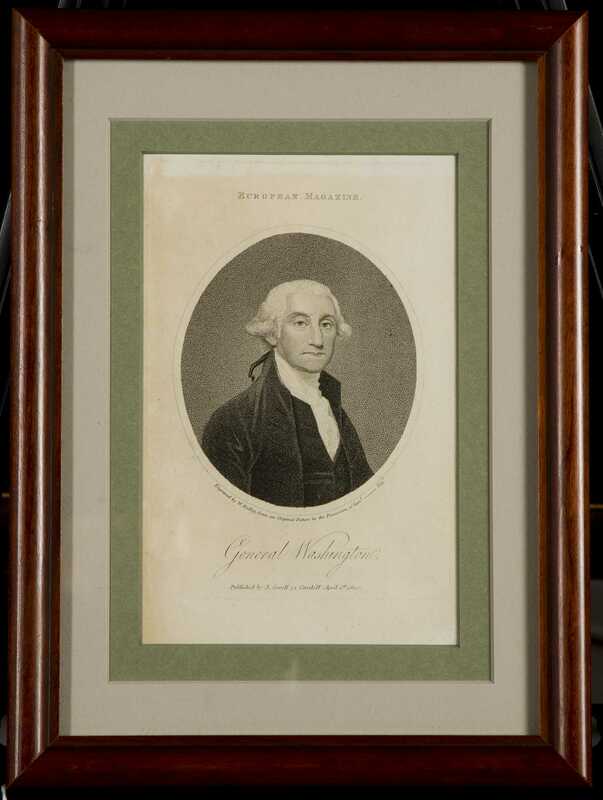 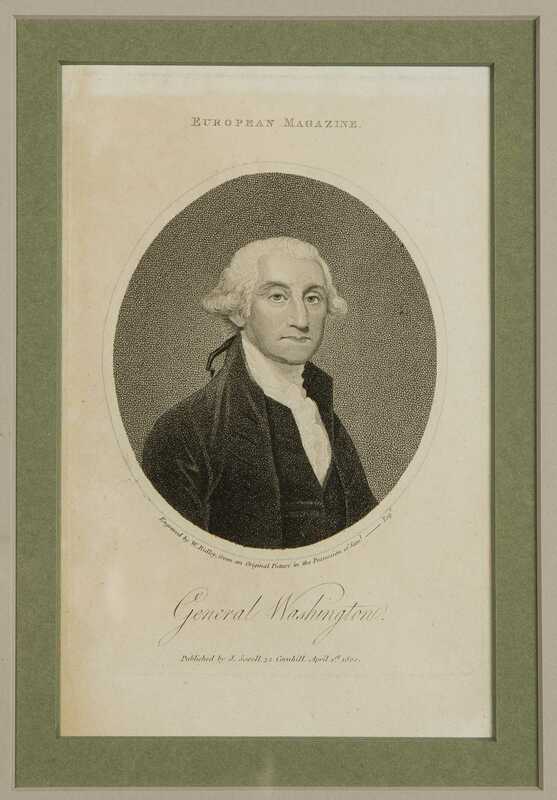 "George Washington at Dorchester Heights" After Gilbert Stewart, Unsigned oil on canvas painting standing by his horse which resembles the one done by Gilbert Stewart, 29" x 21". 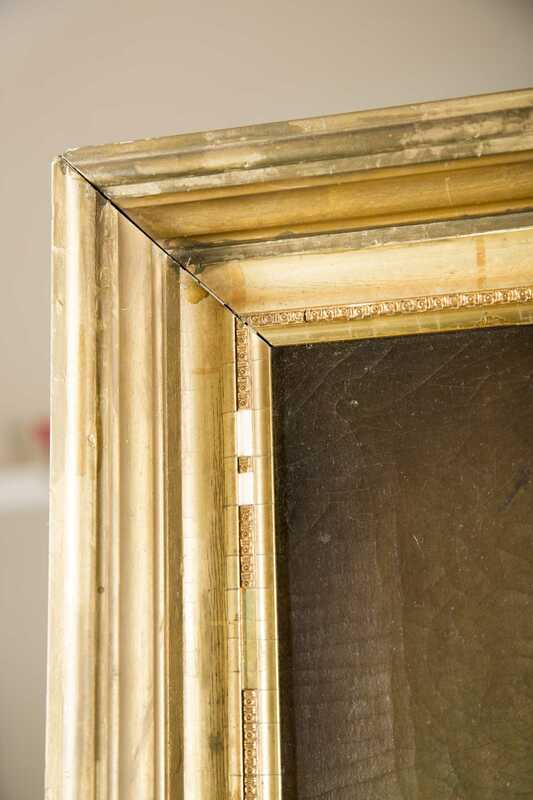 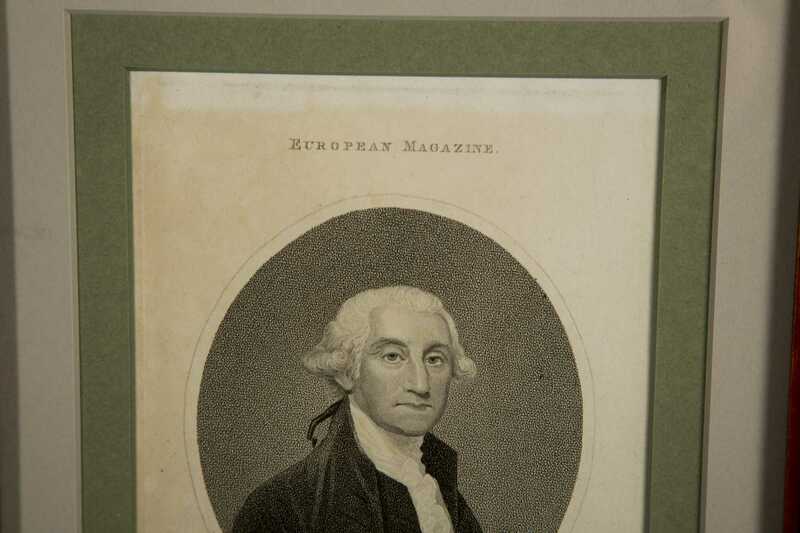 probably the original gold gilt frame (losses) 19th/20thC, crackle amd frame touch-up. 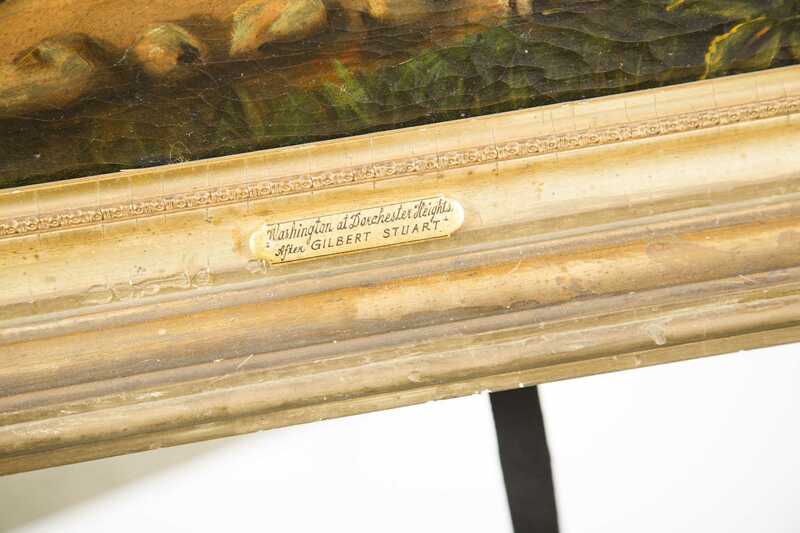 Provenance: Steve purchased this from the collection of John S. DuMont as written on the stretcher.